Dry eye usually refers to a lack of moisture reaching the ocular surface or the tears that reach the ocular surface evaporate too quickly. 65% of patients with Dry Eye symptoms have a condition called Meibomian Gland Dysfunction. These lubricating meibomian glands provide the protective oil layer that prevents tears from evaporating. With this condition, the glands can become obstructed and an inadequate amount of protective oil is present in your tears. Factors such as the environment, the aging process, hormonal changes, medications, inadequate blinking, poor diet and systemic diseases such as arthritis all play a significant role in reducing this moisture. Is your Dry Eye condition causing discomfort? Are you suffering from chronic Evaporative Dry Eye disease or Meibomian Gland dysfunction? We offer LipiFlow®, an advanced treatment system that offers a more long-lasting solution than traditional methods. Herzig Eye Institute is the first to provide the breakthrough treatment LipiFlow® and has been designated the first TearScience® Centre of Excellence in North America. If you have dry eye disease, there is a clinically-proven treatment that has the potential to help you maintain a normal lifestyle by reducing the discomfort of dry eye. The Herzig Eye Institute is the first clinic in Canada to offer HYLO® Lubricating Eye Drops and HYLO® Gel. 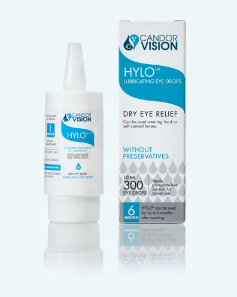 HYLO® is an ideal lubricant for patients who suffer from Dry Eye Disease or have symptoms of dry eye following eye surgery. HYLO® is unique because it is preservative free, phosphate free and provides intensive, long-lasting relief from dryness and irritation. Preservatives can damage the cells of the eye surface and destroy the natural tear surface. Phosphate-based buffer systems can cause complications like water-insoluble calcium phosphate deposits in the cornea. Developed by German scientists, HYLO® ’s innovative multi-dose container is easy to use and designed to deliver 300 sterile doses of solution, one drop at a time. HYLO® is proven, safe and well established in European clinics. We are very pleased to offer this excellent new lubricant at Herzig Eye Institute.